Gentlemen, I need your help! 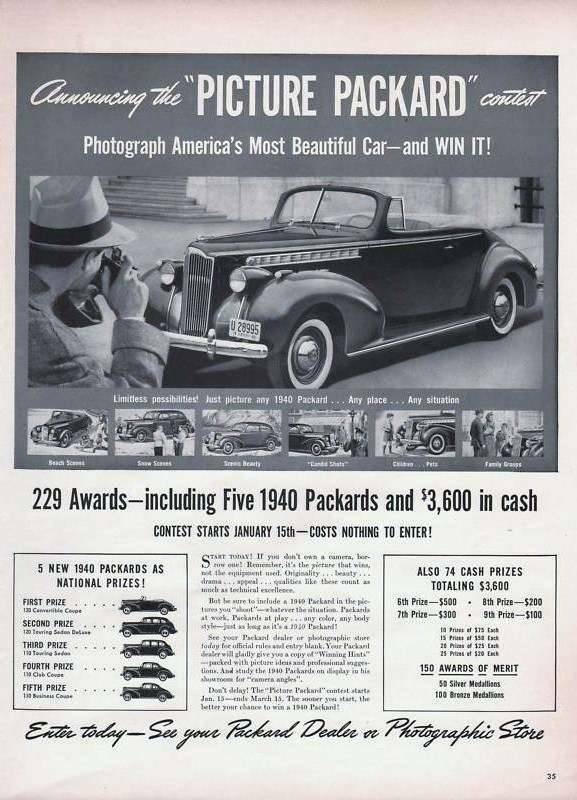 In 1940 Packard had a picture contest with a car and several cash prizes for the winners. There were also 50 SILVER meadals and 100 BRONZE medals. 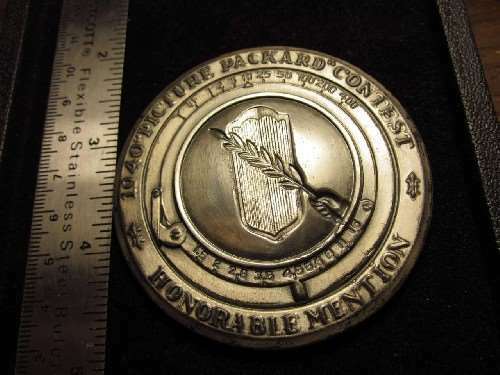 I have recently obtained one of the SILVER medals from this contest and I can't find any information about this medal. It is supposed to be silver, but it does not test out as .999 (pure silver) nor .925 (sterling silver). I am trying to find out which company made these medals and what the metalic content was. 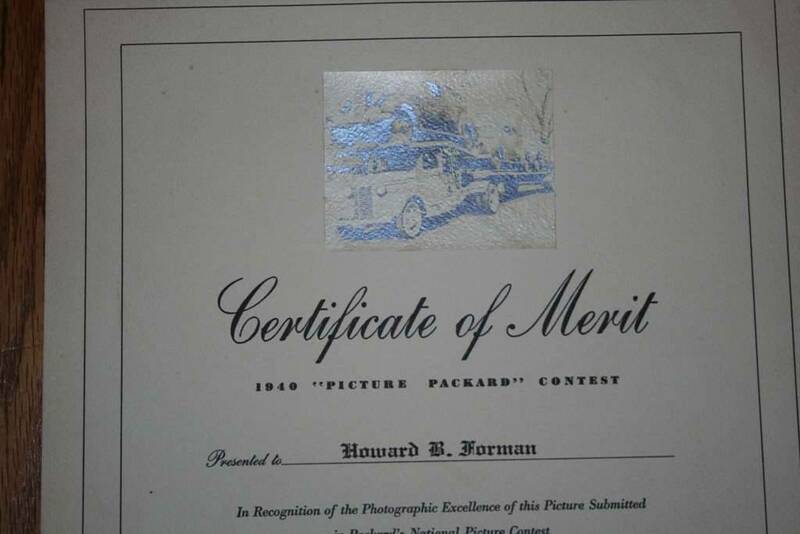 It's hard to believe, but I can't find any info about this contest or the winners on the entire internet, and packardinfo.com says they have no records about the contest. I have located pictures of the contest advertisements, but that's it. Any information about these medals would be appreciated. And... when they're runnin'... I drive 'em! 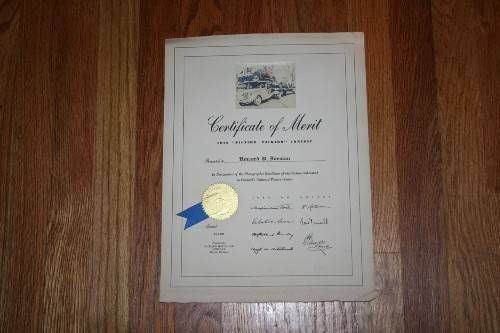 Gene Tereshawty, Youngstown, Ohio, has a lot of original information from that contest. I don't know if he has any of the medals, though. Thanks for all the help so far guys. I already have the ad that was posted and am still trying to find out about the medal. 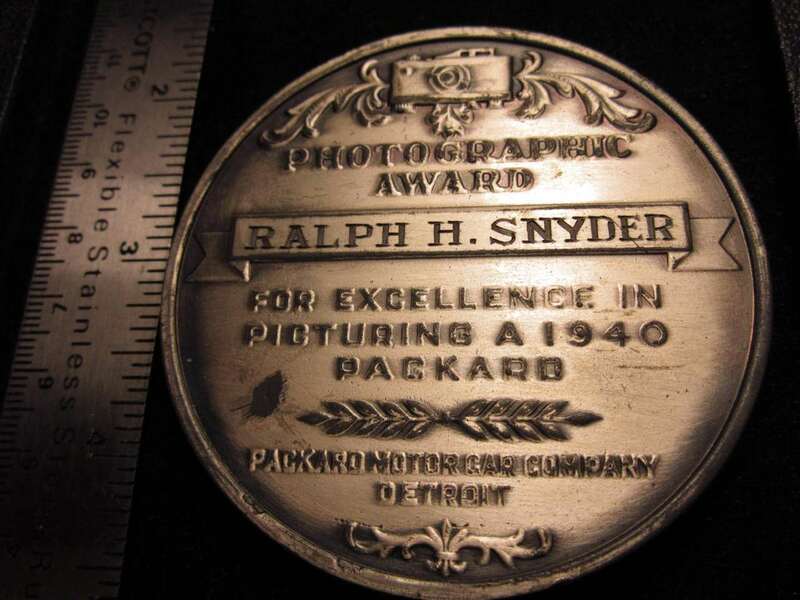 Need company that did the metal and the metalic composition of the medal. For those of you who may never have seen one of these I am going to try and post a picture if the one I have. Wish me luck. You might ask Jim Hollingsworth. He literally wrote the book on 1940 Packards. He is listed in the PAC directory. He lives in Texas. See you're from Oklahoma City and a little bit of "googling" found a Ralph H. Snyder, 2616 N.W. 31st St., Oklahoma City 7, Okla., Director of Health Education, Oklahoma City Air Service Command mentioned in the AMERICAN JOURNAL OF PUBLIC HEALTH Nov 1944. Certainly fits the timeframe and the location and might provide a starting point close to home. And maybe your local newspaper archives of the time could provide something? 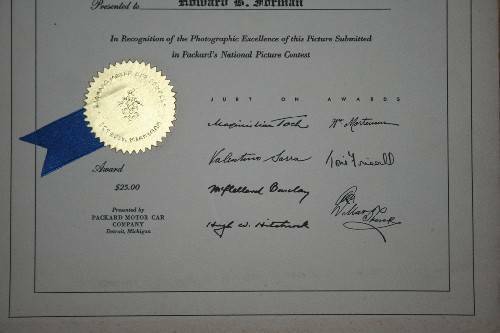 Howard B Forman was rewarded with the following "Certificate of Merit" for his submission to the contest. There are probably a lot more of these floating around than the above medals. 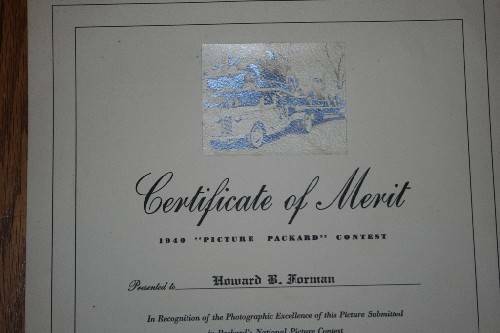 Alas there was no free Packard for Howard, my stepfathers father. As I mentioned, Gene Tereshawty has a whole lot of original artifacts concerning that contest. the pictures of coins are very beautiful and appealing! where are these coins now?